Our Creative Knitwear is perfect for any future Spartan. Keeps them warm and full of school spirit. 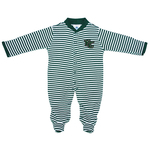 Show off your little Spartans spirit of the Spartan with an infant cheerleader dress. 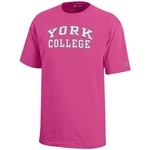 Creative Knitwear Varsity Jacket features a snap front with two front pockets, ribbed knit collar, waist, and cuffs with the York College Spartan logo on the left chest. Prepare your future Spartans, with these cute little booties. 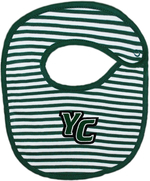 Keep messes at bay, with this classy bib. 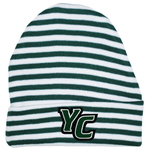 You have to keep your kids warm, so why not do it with school spirit. Comes in Newborn, 6 months, 9 months, and 12 months sizes. Show off your little one's Spartan spirit with a cheerleading dress.